5 compact homes on a sloping lot overlooking a park make the best use of orientation to achieve excellent energy efficiency results. 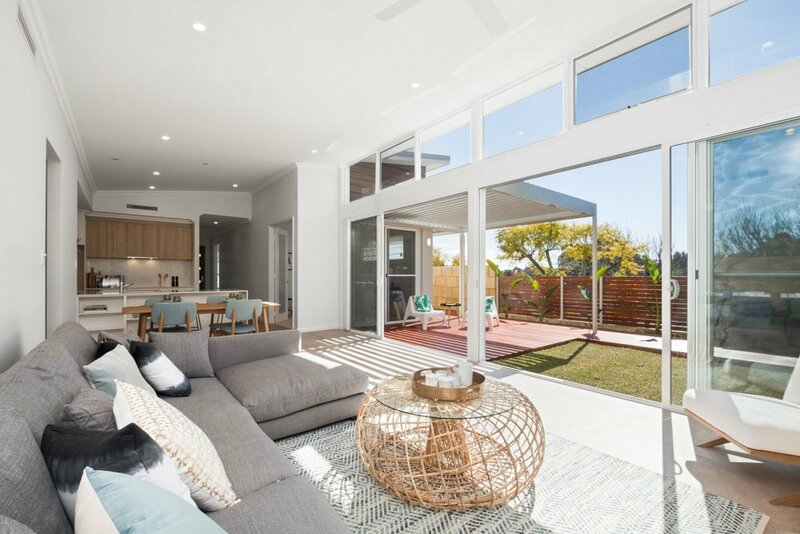 Each home is designed around a north facing courtyard and has high raking ceilings and full height glazing to maximise connections to the outdoors and nature. 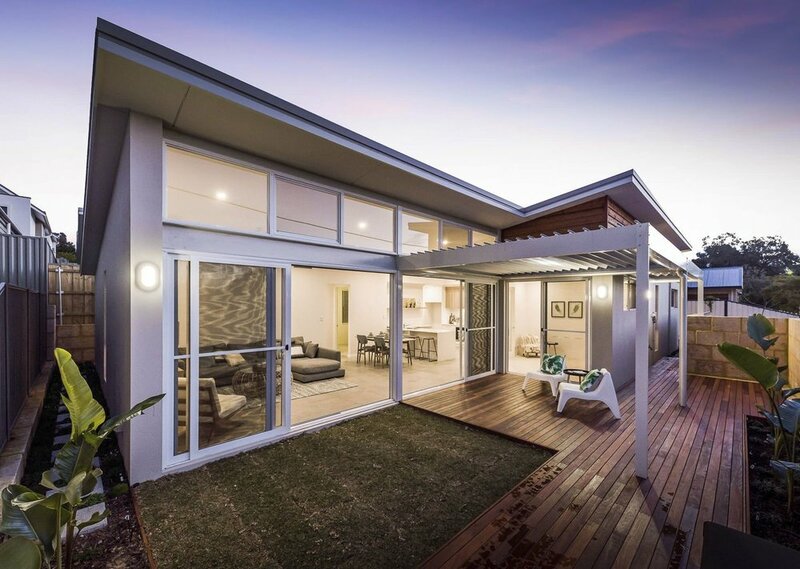 Simple materials of render, face brick and cedar cladding give a natural, low maintenance feel to the exteriors.The interiors are warm and minimal with light, bright colours adding to the feel of spaciousness and easy living. The homes achieve an impressive Energy Efficiency Rating of between 7 and 8 Stars. WINNER : 2018 BDAWA AWARDS BEST GROUPED DWELLING DESIGN.